The Laureus Sport for Good Foundation South Africa, in partnership with the Zando Cape Town 10s, hosted a pro-active and enriching coaching clinic with young kids from various under-resourced communities across the Western Cape, during the Zando Cape Town 10s event on Saturday, 3 February at Hamilton Rugby Club. 100 boys and girls from the Laureus-funded CoolPlay project, a project that uses sport as a tool to ignite positive change, spent the morning with some of their sporting heroes and gained valuable lessons on team culture and spirit at the same time. 12 learners from the Coolplay project have been selected to be part of the Laureus and Hong Kong 7s exchange in April, and a special capping ceremony with their sporting icons took place at the coaching clinic to mark this achievement. The Exchange will offer 12 youths from the Coolplay project an opportunity to attend the 2018 Hong Kong 7s as well as being taught vital skills and sports training, using crucial elements from both projects. This after Laureus was recently announced as the official charity for the Hong Kong 7s and announced its Hong Kong 7s exchange programme which will be hosted in April this year in partnership with the CoolPlay project and Hong Kong based Operation Breakthrough. 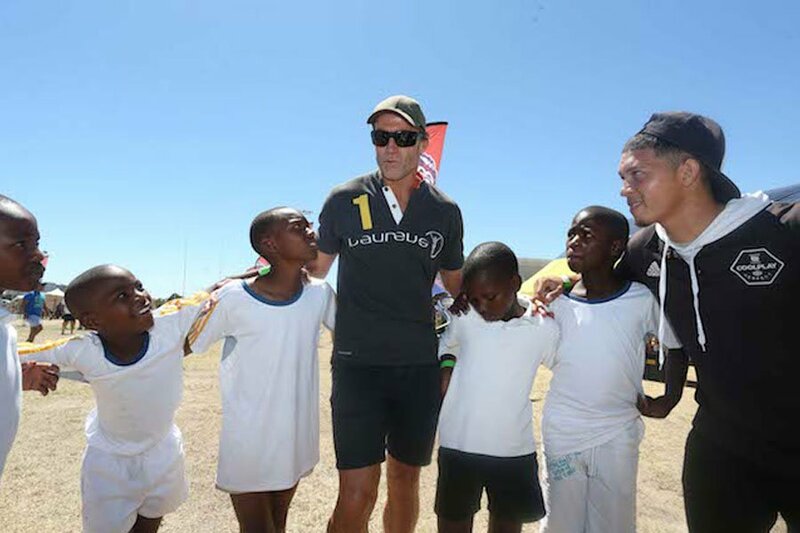 Laureus ambassadors Jean de Villiers, Corné Krige, Dan Nicholl and Zanele Mdodana were joined by fellow rugby and netball legends, who took part in a series of coaching drills and life skills activities to enrich the young kids. “Zando 10s has always focused on giving back and has maintained a great partnership with charitable organizations such as Laureus and the Chris Burger Petra Jackson Players Fund. We have also, since inception, hosted our annual coaching clinic with young kids from various under-resourced communities across the Western Cape. The coaching clinic is a crucial component of our event and one that our legends really enjoy and look forward to each year. We would like to thank both Laureus and Coolplay for allowing us to be part of this very special initiative,” explains Gerhardi Odendaal, Tournament Director of the Zando 10s series. “We would like to personally thank the Zando Cape Town 10s team, our ambassadors and the rugby and netball legends for being a part of this very special occasion, once again demonstrating that sport is a universal language that can unite all. We would also like to extend our best wishes to the 12 boys who will travel to Hong Kong, we are certain that they will grab this opportunity to travel abroad and mix with other learners from different cultural backgrounds. They will then return to their communities and continue to ignite positive change,” says Morne du Plessis, Chairman of the Laureus Sport for Good Foundation South Africa. The Laureus Exchange will take place from 3 to 9 April 2018 and will see 12 youngsters from various CoolPlay sites given the unique opportunity to travel abroad and learn vital skills using sport as a tool to empower them to lead successful lives. 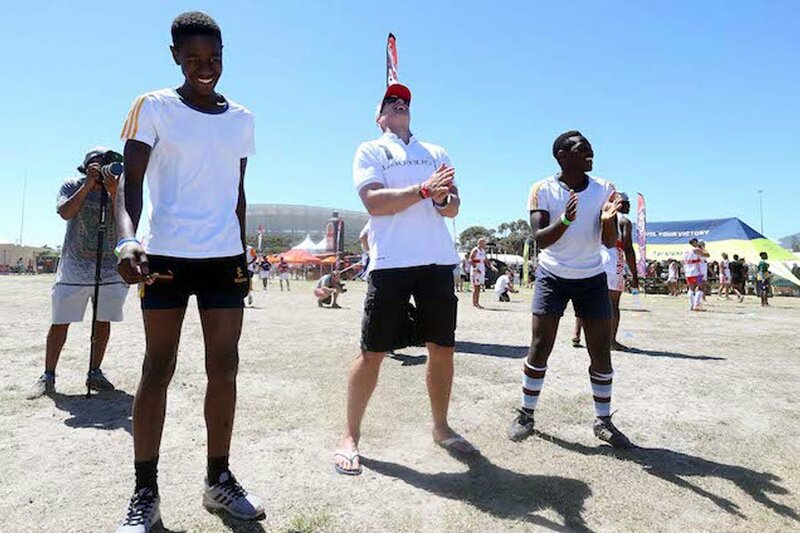 The Zando Cape Town 10s was hosted on 2 & 3 February at Hamilton Rugby Club and saw 25 000 people in attendance. Over 350 teams took part in seven different sporting codes including rugby, netball, beach volleyball, soccer, hockey, dodgeball and a unique fitness event.